Having a lot of junk inside your Mac computer can be very frustrating. It doesn’t help that your Mac is bringing a lot of useless files and a few hidden ones which cannot be traceable. Your Mac’s disk space is full – so when you open a certain program and slowly loads, it’s already time consuming on your part. You become unproductive in your work. If you don’t tend to this problem immediately, you’ll have to suffer with your Mac’s slow performance. The least you can do is to try fixing it and increase its performance level by uninstalling a couple of pointless programs and applications and a few hidden files which you failed to delete before. Uninstalling is very essential especially if you want to resume your Mac’s speed. Once you get rid of bigger applications which are rarely used, this means that you are widening the free disk space, making more room for your Mac’s hard drive. If you can afford to buy an extra RAM or an HDD to transfer some of the files inside your Mac, the problem would have solved immediately. Still, a RAM and an extra hard drive costs a whole lot of money. You’ll be saving money instead if you erase those useless applications instead of letting them rot inside your Mac. Windows user uninstalls their programs using their Add/Remove program features – but Mac’s uninstalling process is totally different from Windows OS. It’s uncomplicated; even a Mac beginner can do it! All you need to do is drag the application to the trash bin. Still, this does not fully uninstall some programs because you need to find the additional files and manually delete them. There are two types of programs inside your Mac: the bundled and the non-bundled programs. To determine where your program belongs to is when you right click the application and it will show you if it’s bundled or non-bundled. The bundled programs are really easy to uninstall since you only need to transfer the application to the trash bin. This is the easy part because you don’t have to sweat out and figure out where these additional files (support files, shortcuts, other preferences) are located. Your Mac’s system will do the work and locate it for you. The application, along with its binary files, will be properly deleted as long as you perform the right method. On the other hand, the un-bundled programs will be too difficult for you to uninstall. You can perform the same method – dragging the files to the trash bin. However, not everything will be deleted so you need to do additional work and clean the files by manually deleting a few of its settings and small files. You’ll be lucky if you manage to locate the right files and clean them. But what if you cannot find them? This becomes a problem because these files continue to take up space on your hard drive. Manually removing all those hidden and extra files takes a lot of work. To lessen your burden, you may need a third-party application to make your job a bit easier and get better results. In this case, you need to learn some of the third-party installers which might be of great help to your Mac. The MacKeeper (Click Here to Start MacKeeper Download) is one of the most popular third-party applications for Mac. It can perform several functions, such as scanning for viruses using its own anti-virus, detecting theft by simply locating the Mac from its location, undeleting or restoring files, perform system maintenance to free storage space, and the most important, deleting files and locating those small files for you. This software is worth your budget because all other features and essential tools are bundled in this single utility software. 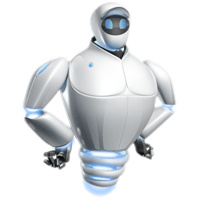 It wouldn’t hurt to invest on MacKeeper if you want to make your Mac fully operational. The good thing about this third-party freeware is that it quickly identifies leftover and small files that were left behind from the programs that you uninstalled. It automatically removes these files from your hard drive. You may drag the application that you want to uninstall through the AppCleaner icon or simply use the freeware’s search feature for all installed programs, widgets, and plug-ins before you choose the apps that you need to delete. One of the native software for Mac OS X, it shows you a screen shot of the changes you made in a disk or folder from the file system and compare the two dates before you decide to uninstall the program. You don’t necessarily have to use this method because you can use the software to automatically uninstall an application. This software comes with a free 15-day trial period before you can buy the full version. This is another tool that you can use to uninstall those useless programs on your Mac. This software is very similar to the AppCleaner software. However, this is not a freeware so you can only use its limited features from the trial version until you are required to purchase the full version. The good thing about this uninstaller software is that it is free ware, so there’s no limit of its usage. This open source application can uninstall selected programs and identifies its supporting files, preferences, and system files. You can also add its preference pane to your system so it will automatically detect the files that you wish to delete and transfer it to your trash. It also gives you suggestions if you want to delete the program’s associated files while uninstalling the main program. When choosing the right third party application to uninstall programs from your Mac, you should be careful of what kind of software you are using. Some of these software may cost a lot of money so its unwise to spend if you don’t even have the budget for it. However, if manually uninstalling those un-bundled files turns out to be confusing and frustrating, investing in one of the software is the best decision that you can make. Your Mac will perform faster once you get rid of useless applications.